Days of Our Lives (DOOL) spoilers for the next two weeks tease that big surprises are in store. The week of September 25-29 will bring some familiar faces. For starters, Xander (Paul Telfer) will make a brief popup during a phone conversation with Victor (John Aniston). It’s always fun to see Xander, so we’ll take what we can get! Thanks to Victor and Xander’s chat, Bonnie (Judi Evans) will get some serious ammunition. She’ll leave Sheila (Tionne “T-Boz” Watkins) out of the loop on the details for now. Bonnie can’t be too careful! It turns out Sheila is actually a face from Eli’s (Lamon Archey) past. When they run into each other, Eli will be stunned to learn she’s working in Salem. Paul (Christopher Sean) will encounter someone from his history as well. At his bachelor party, the stripper will apparently be a former flame. He’ll urge Paul to have a final fling with him after the shindig, but he’ll get turned down. Sonny (Freddie Smith) will be proud of Paul when he witnesses the rejection. 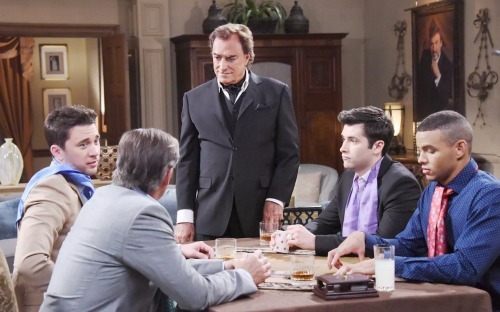 Of course, Ben (Robert Scott Wilson) is the return we’ve all been waiting for. 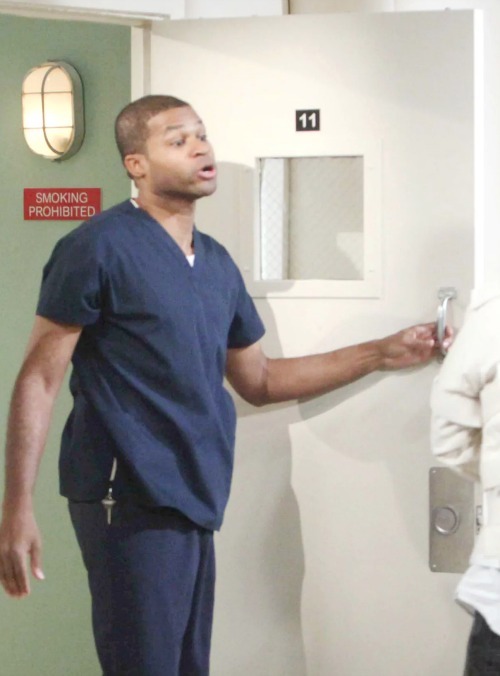 Days of Our Lives spoilers state that Ben’s escape will leave many characters in shock. He’ll reveal something that drives the story forward and creates months of fallout. The week of October 2-6 will call Will’s (Chandler Massey) death into question. The news that Will may be alive will spark a journey. It’s almost time to head to Memphis for answers about where Will might be now. Other Days of Our Lives spoilers say Chloe (Nadia Bjorlin) will let Nicole (Arianne Zucker) in on a secret. She’ll most likely tell Nicole about Eric’s (Greg Vaughan) feelings for her. That could lead to another bombshell about Brady’s (Eric Martsolf) actions. Chloe might admit that Eric left town because Brady wanted him to fire Nicole. However, this wasn’t all about Brady. Eric’s feelings were becoming harder to bear, so he felt like leaving was for the best. What will Nicole do with all the new information she receives? Days spoilers hint that it could alter her life in a big way. Nicole’s exit is coming down the road, but there’s still time for a “Ericole” reunion which will happen – Eric is coming back to Salem. Just to clarify – Greg Vaughan is NOT leaving Days of Our Lives despite misleading webloid click-bait on the Internet. Meanwhile, one wedding will resume at last. Since all the Will drama will be hanging over Paul and Sonny, Chad (Billy Flynn) and Abigail (Marci Miller) may be the ones to get hitched. Some happiness is finally headed their way. It sounds like some fantastic scenes are coming up. We’ll give you updates as other Days news emerges. Stick with DOOL and don’t forget to check CDL often for the latest Days of Our Lives spoilers, updates and news.